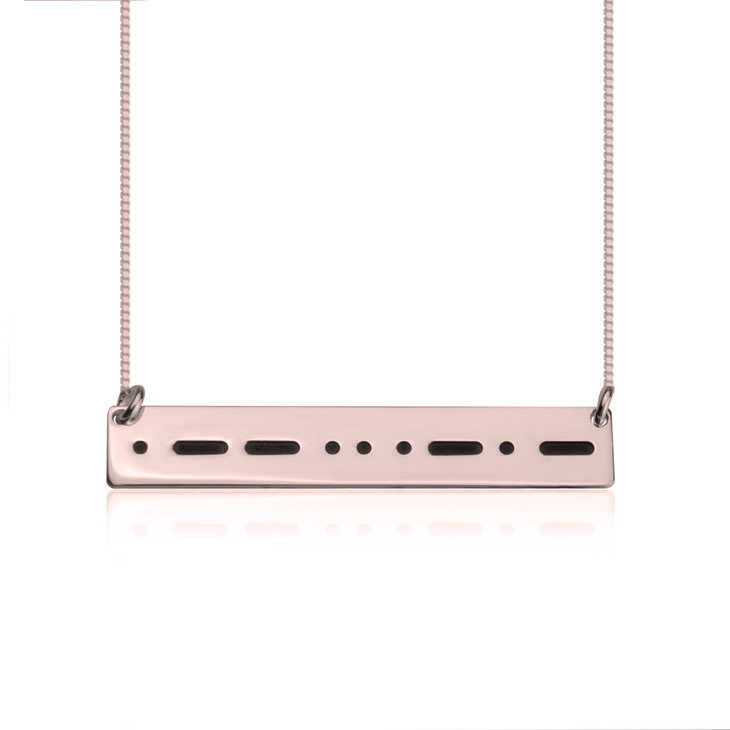 This Personalized Morse Code Necklace is truly the cutting edge and trendsetting accessory you've been looking for. Capture any meaningful secret message of your choosing, for a unique and timeless necklace you can wear with any looks and make a stunning statement. 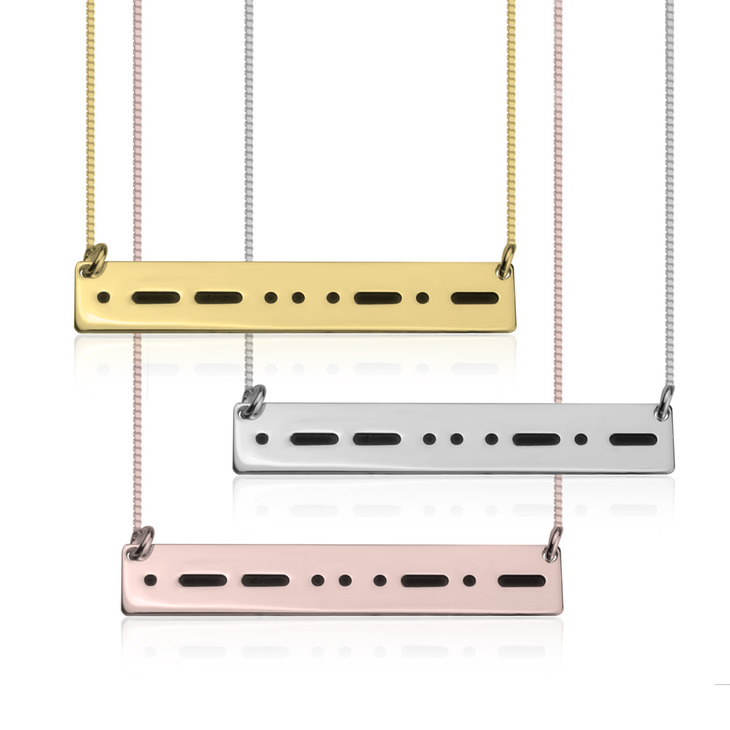 Whether this is a thoughtful personalized gift idea for someone you love, or a new customized pendant you can add to your collection, this morse code necklace is both fashion-forward and one-of-a-kind, available in three shades ranging from silver, gold and rose gold. Shop Now!